You may remember my rants on the merits of organization and the downfalls of procrastination, but I wasn’t the first person to make this recommendation. 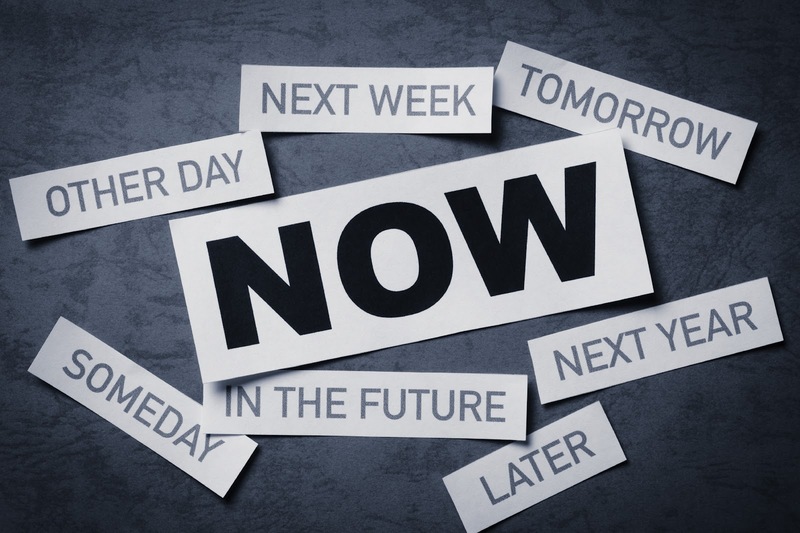 You have probably heard from one source or another that procrastination will come back and bite you. To be honest it may be true, but for the most part procrastination and college go hand in hand. Let’s face it, college is exciting. A lot is going on and you are going to be forced to push some school work to the last minute possible in order to squeeze in all the other fun activities that are available. And yes, sometimes these fun activities aren’t anything special. Sometimes I would find myself lounging in my room with the notebook on the couch next to me, playing the newest videogame till 2 in the morning. Realizing only then that I should probably take a look at the notes I had accumulated. A college professor, a screen writing teacher to be more specific, once explained to me, that by observing the world around us and learning from other people’s stories we can accelerate our own learning curve without the necessity to fail on our primary attempts (learning through not only our experiences but the experiences of others as well). Of course this sound advice fell on deaf ears and I survived most of college by trial and error. Eventually I had a realization and subsequently success began to follow (or rather old habits that amounted to C+s and B-s and new habits that yielded A’s). In some areas however, this lack of experience and immense desire to wait till the last minute can be fatal. The following list is the three areas where you should not and cannot procrastinate if you want to have the best possible time in college. As a USC student I was forced to fend for myself after my freshman year in the dorms. Many schools provide four years of guaranteed student housing, but many (like USC) do not. In this scenario active college students fight for the best and cheapest available off campus housing and the procrastinators are forced to file into the remaining openings. To prevent yourself from being one of these unfortunate souls, figure out your plan early. This means finding people who you enjoy hanging out with and are clean and organized enough to be suitable roommates before any rush for locations begin. Once you have found your crew, start researching. At USC people start this hunt as early as the fourth week of school. The earlier you start the better chance you have of getting the ideal location at the ideal price. Get in contact with the people that currently live there and slowly position your crew to slide right into the vacancy as soon as it becomes available. Good luck, it’s not easy but the right house, apartment, and location can make or break a year of school. College is expensive! Darn expensive! So don’t be lazy in acquiring financial aid or simply filing your FAFSA before school even starts. My first year in college I neglected this step and received no financial aid. I didn’t think I even qualified for federal and or school aid. But sure enough my sophomore year, when my parents were tired of piecing together loans and enough money to pay for my brother’s and my own education, I received considerable help. By taking the fifteen minutes to file the FAFSA and other school specific forms I was awarded a $5000 grant as well as several low interest rate loans that sure did help. Since then I have made sure to get these forms filed every year. There were so many things that I thought would fit well as a 3rd item here. But what I slowly came to realize is that they all existed on the same plane of importance, none more serious than the rest and therefore had no right to be in the top three things not to procrastinate. So I settled on “New Things”. Every teacher will tell you not to procrastinate on their assignment, final paper, etc. But the truth of the matter is that all those things can be easily procrastinated. If you are good at it and put in enough last minute hours you can get the A grade too. However there are a lot of things in college that happen every once in a while and once you miss them, there is no going back. These things include, big football games, tailgates, large gatherings, events in the city in which your school is located, taking swims in the school fountains, epic parties, and of course those random adventures that present themselves in all shapes and sizes. So good luck on you college escapades, and don’t forget to find housing, file for financial aid, and try new things, but most importantly don’t procrastinate the enjoyment of a college lifestyle.